It’s safe to say that most people reading this article will find it impossible to imagine their lives without the Internet. Every day we surf its vast waves. This enables us to run our errands faster, stay in touch with friends and keep track of current affairs. We now communicate with people using various social network services, internet communicators, forums and discussion groups. The impact of the World Wide Web for modern business is also indisputable, and Polish companies have recognised the huge opportunities that come with e-communication. Marketing has become a sophisticated art with constantly evolving trends. Consumers are more demanding than ever before and they know how to acquire reliable information about their desired products. The Internet has enabled people to make informed choices instead of relying solely on advice from professional salesmen. Therefore, it is difficult to understand why around 50 percent of Polish entrepreneurs still don’t have a website for their business. Google Poland, in cooperation with Home.pl, a domain supplier, have decided to help solve this problem. The two companies have launched the Internet Revolution – a series of events throughout Poland with the purpose of instructing entrepreneurs on ways to promote their business on the Web. The campaign is being conducted under the auspices of the Polish Ministry of the Economy. On 23 November the International Revolution Day took place at the Economic University of Krakow. The event included a selection of workshops aimed at entrepreneurs, students and representatives of interactive marketing agencies. Visitors had the opportunity to learn about Google products and launching a professional website in the Internet. On this occasion, the Krakow Post talked to Janusz Moneta, marketing director of Google Poland, about the Internet Revolution and the future of the Internet industry in Poland. Krakow Post: What sort of entrepreneurs decide most often to promote their business via the Internet during the Internet Revolution events? Janusz Moneta: Every kind of entrepreneur in Poland. It is a wide range of small to medium enterprises for whom this campaign was created. Those who signed up for the Internet Revolution in Poland represent around 1,500 municipalities across the country. So these entrepreneurs come from big cities as well as small villages. During the last year, over 30,000 firms joined the Internet Revolution. KP: Is there anything distinctive about the Internet market in Poland? JM: Let’s look at this question from the following perspective: on the one hand, we have the consumer market of consumers using the Internet in Poland. These consumers are very skilled. They take advantage of various search engines, portals and online communities. They also use blogs. What is more, the use of these tools is very balanced. By saying this, I mean that if we look at rankings such as the one conducted by Megapanel, we will realize that Poles use various Internet sources. Statistics, in terms of viewing share, are very similar. This clearly show that consumers in Poland are well-equipped with skills which they confidently use to their own advantage. On the other hand, a lot of small and medium entrepreneurs refuse to acknowledge the potential of the Web in Poland. They are unaware of the magnitude of this potential. The majority of small firms in Poland have access to the Internet, yet they don’t have their own websites. Many firms still remain without a listing on Google Maps, which would be very helpful in conveying the message, “Look here. I’m on the Internet. Check out my products.” Furthermore, the firms fail to advertise their websites. This means that they don’t attract customers to their activities on the Web. A website itself is not enough to inform the public that you’re present in the Internet. That’s what’s definitely missing. KP: Which Google applications are most useful for entrepreneurs? JM: As part of the Internet Revolution we are currently offering several products. We think that depending on what the particular entrepreneur needs, we can support him or her with the appropriate tools. They should start with posting their business address on Google Maps, and should also include the phone number in the listing. This will allow the customers to reach them. Moreover, a short video clip could change the firm’s image and attract more customers. I think that once the entrepreneur realizes that these easy steps work, they will consider launching their own website. Apparently, during the Internet Revolution there’s a special offer from Home.pl, the domain provider, which includes a free domain name as well as a free website. You can register them in an instant and then put them to the test. As we now have a website, we can think of ways how to promote it on the Internet, to show that it actually exists. 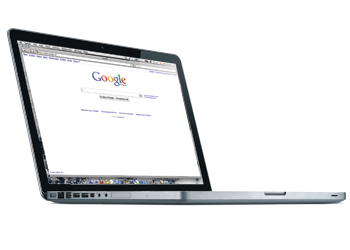 Further, we can advertise on a search engine such as Google. It is also recommended to post a contextual or graphic advert on websites which are already visited by potential customers. This will tell them: “Hey, I’m on the Internet. Come and see for yourself.” Those are the elements that we try to promote through the Internet Revolution. KP: Finally, in what direction do you think the Internet market in Poland will move towards in the future? JM: Hmm, that’s an interesting question. As we’ve discussed already, this is market is already highly developed. We have online communities on the Polish market. We have news portals. We have search engines. We also have websites connecting the sellers with the buyers – advanced auction platforms. It seems to me that, if we look at the statistics for the last few months, the market appears to have lost its momentum. Consumers use a variety of services across the Internet. I think the appropriate question is whether something truly ground-breaking will once again enter the Polish market. Five or six years ago new ideas arrived. There was a new Internet communicator. And then a new social network service. Over the last two or three years we haven’t witnessed such an outstanding example of innovation. I am anxiously waiting for something that will surprise us all and that will alter Internet in Poland as we know it today. ← What Next for Krakow?